As standard, new cars roll off productions lines every day with regular halogen headlights in place. Most road users have only ever experienced driving with this kind of lighting, and so have very little basis for comparison when it comes to deciding whether halogen is better than the alternatives. But now, an increasing proportion of the global motoring community is switching on to the benefits of considering different types of headlights, with HID xenon being a clear frontrunner. XenonPro.com serves hundreds of thousands of consumers with HID xenon headlights kits, designed to make for an easy upgrade from standard halogen. 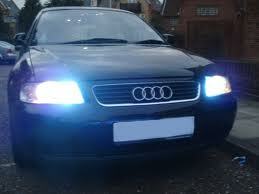 Of those motorists that do make the switch to HID xenon, very few will ever look to reverse the upgrade. In virtually every conceivable performance test, HID xenon headlights outperform halogen, and make themselves the clear, definitive winner across every imaginable benchmark. Understanding the best option for you first requires the knowledge of the different options available, and how they compare in terms of pros and cons relative to each other. By examining the spec and benefits of each in turn, it is possible to make a much more informed decision about your headlights, and the optimum driving setup for your needs. HID headlights come in a range of different styles and options, depending on your requirements, preferences and tastes. Different road users will have different requirements, which will determine which kit is most appropriate. Generally, HID headlights are extremely bright, offering varying degrees of color from pale yellow, through to brilliant white and beyond into blues and violets. These bulbs have a low energy requirement, and can be fitted by anyone, regardless of their experience, within around 30 minutes. For those looking for superior performance from their car, HID headlights beat halogen headlights across virtually every metric. 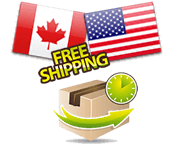 At XenonPro.com, we help individuals the world over find the right HID kits for their car. With an extensive range of high quality, German-made components, and exceptional customer service and support, we have become known as one of the leaders in this field. If you are looking for an improvement in the performance and function of your headlights, look no further than our HID xenon headlights kits. Not only are our kits great value, but they also help reduce consumption in your vehicle when compared with standard models. But given the gulf in performance between halogen and HID, why hasn’t every major manufacturer made the switch from halogen as standard? 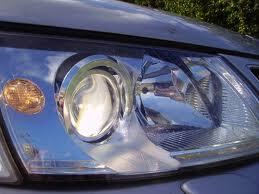 Halogen headlights are the default choice for millions of motorists across the world. At present, the vast majority of car manufacturers choose halogen components over HIDs, purely because they are the lowest-cost sufficient part. But that is not to say they are a patch on HID xenon headlights. Halogen headlights light only the road directly ahead, and they tend to give off a pale, yellowish-white light. In contrast, HID headlights illuminate much more of the road, and provide more panoramic illumination for the peripheries and road side. This means you can see more of the road ahead and your surroundings, so you can make better driving decisions in plenty of time. This means you can relax when you are driving in low-lighting conditions, safe in the knowledge that you have more than enough time to react to the changing road conditions as you drive. Halogen headlights are cheaper than HID xenon headlights, but that doesn’t mean they are a more effective choice. In fact, the vast majority of those who choose to upgrade to HID headlights will never look back, and will never feel the urge to return to their halogen headlights setup. The question then becomes one of deciding when to switch to HID headlights, in order to maximize the advantages for your driving. The choice to switch from halogen headlights to HID models is one that people take for a variety of reasons, and there is no time particularly better than right now to make the upgrade and take full advantage of your car’s performance. The move to HID headlights is one that will leave your car in a much more ready state for evening and low visibility driving, and with the change effected in as little as 15 minutes, there’s no valid reason not to push for getting started straight away. Before you can begin the install, it is important you take your time to understand exactly what you need in terms of color temperature and brightness, so you can choose the optimum kit for your driving needs. Depending on your preferences, XenonPro.com has a range of different colored kits available, which enables you to choose the optimum mix of brightness and color to improve the overall performance of your vehicle. The beauty of the HID xenon headlight kits we provide is that they can be installed by virtually anyone. Our kits are designed to be fitted to any car, and come with all of the instructions and components you need to make the install work most effectively. Our step-by-step instructions make the installation foolproof, and you can expect to be up and running with your new headlights in as little as 30 minutes from getting started. That means there are just 30 installation minutes between you and a brighter, clearer drive. And because HID xenon headlights last several times longer than standard halogen lights, you can rest assured that won’t be constantly replacing the bulbs or changing the kit once you’re set up and ready to go. All of our headlights kits are manufactured in Germany to the most precise standards, giving you the comfort and peace of mind that you are buying a quality product. And in the extremely unlikely event you ever want to switch back to your halogen headlights, simply reverse the 30 minute process and you’re good to go. It really could not be any simpler to upgrade your headlights using our HID xenon headlights kits.